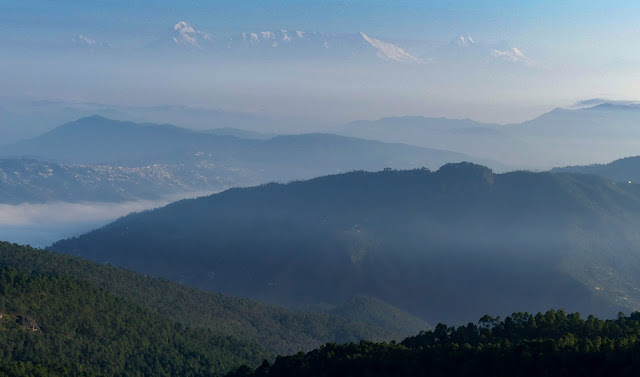 Mukteshwar packages from Kathgodam at just Rs.4999/- , cheapest mukteshwar tour packages from Kathgodam | Uttarakhand Travel Guide | Travel guide & Adventure guide in Nainital. We pick up guests from Kathgodam/ Haldwani, the nearest railhead for Kathgodam. Enroute to Mukteshwar. there are other famous places where we take out guests like Bhimtal, Sattal, Tea Gardens of Shyamkhet, Historic town Ramgarh, etc. This is the cheapest tour packages available for Mukteshwar compared to our competitors. We offer 2 nights 3 days at just 4999/- in a private 4 room villa. This tour is best suited for family and honeymoon couples. WE GUARANTEE CHEAPEST RATES for Mukteshwar because there are no intermediaries between our customers and us. Morning on arrival at Haldwani/Kathgodam station meet for assistance and drive to Mukteshwar by car (70 km drive). We will visit the famous Ghorakhal temple, Tea gardens of Shyamkhet and Beautiful orchards of Ramgarrh on the way to Mukteshwar, check- into the hotel and the evening will be free for leisure activities in Mukteshwar. Today after breakfast we will proceed for full day sightseeing tour to Mukteshwar. I have the mentioned the places one must visit in Mukteshwar in this page. We will cover all the famous spots. Full day sightseeing in Mukteshwar. Overnight at hotel in Mukteshwar. Morning after breakfast check out from Hotel & proceed for Lake tour to Bhimtal, Sattal, Garud Tal etc. full day sightseeing & Masti in Uttarakhand Hills. Evening transfer to Kathgodam/Haldwani station for your on ward destination. Other miscellaneous expenses related with travel. In this floor design and dining hall is really nice and getting good impression from the people. In this location is given the good and original products are available in this place. In this post is really nice and understandable one. I am getting great experience with journey about the Ging's. I need to collect the homes location details for buying for my personal purpose. I can get the money from my bank account. I am given some of tips and ideas for the friends about buying the land. I need the original information and related ideas for me. I am searching the good design for my hotel insides. If you have any idea to arrange the things means share with me here. I am joining with my friends are share their experience for running my hotel business. I need the floor design, inside property; other things etc are needed for me.